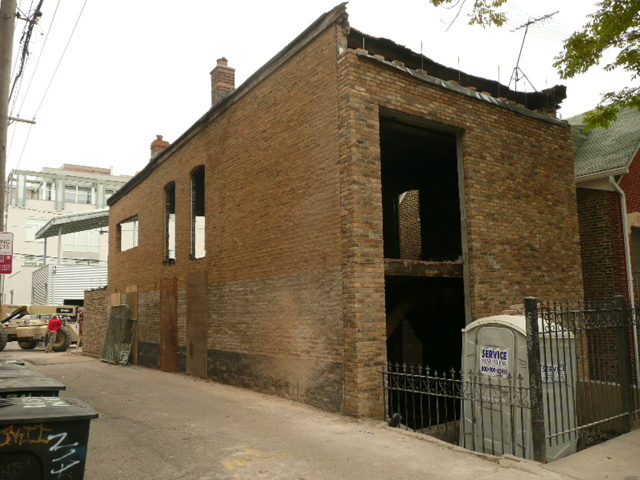 The old fake facade and the old windows have been removed. 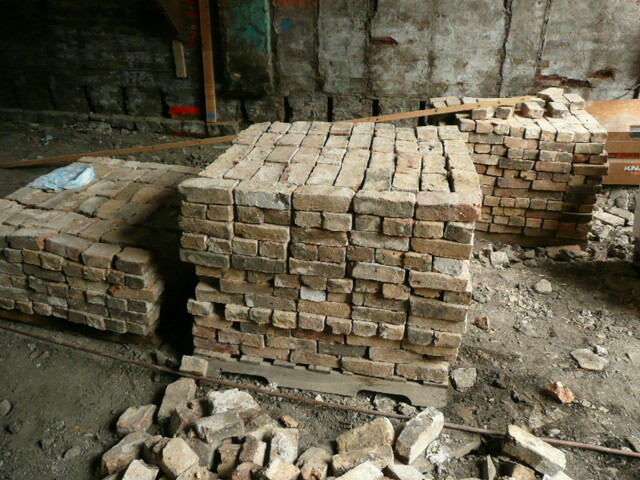 The basement and first floor front (East side) has been rebricked to allow for the new windows. 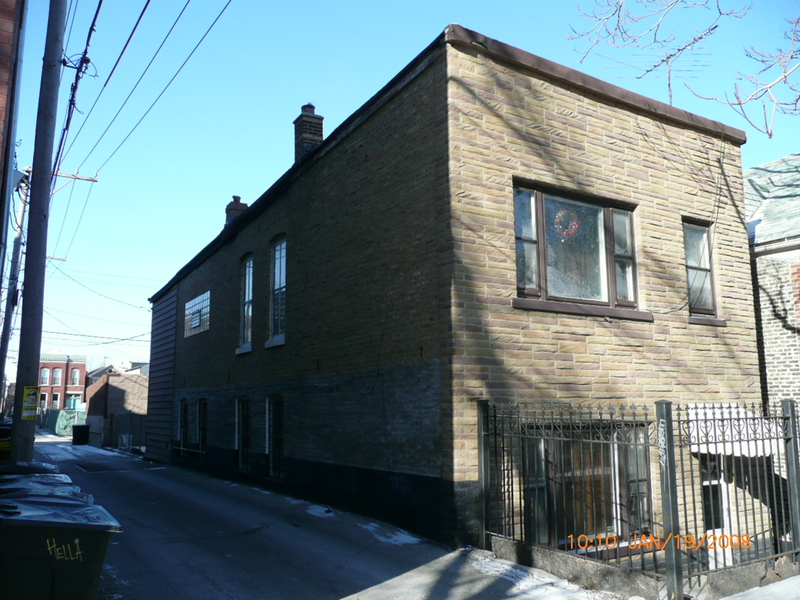 Soon the South side will be rebricked to fill in the old windows and create openings for the new windows. Lastly the new second floor will be added. 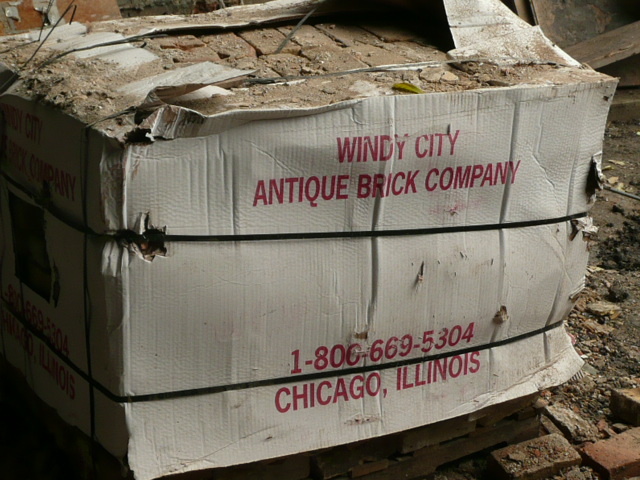 The brick being used is left over from the old brick walls which were knocked down or is from Windy City Brick which is a company that reclaims brick in the Chicago area. You are currently browsing the Elementalbuilding blog archives for October, 2009.